Women dancing in Arabian Nights. Photo by Dan Van Meer. The Orpheum Theatre is getting a magic lamp. 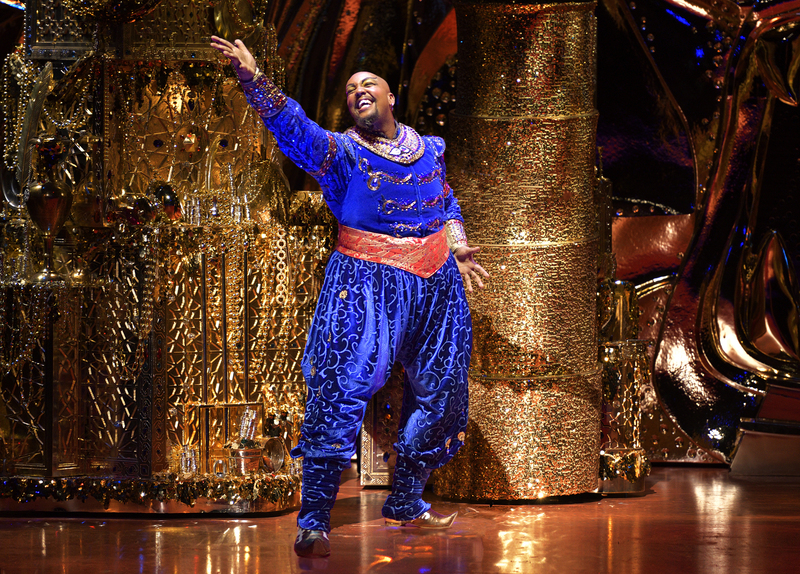 Starting September 15, the Orpheum will host the Broadway touring production of Aladdin for three and a half weeks (closing October 8). 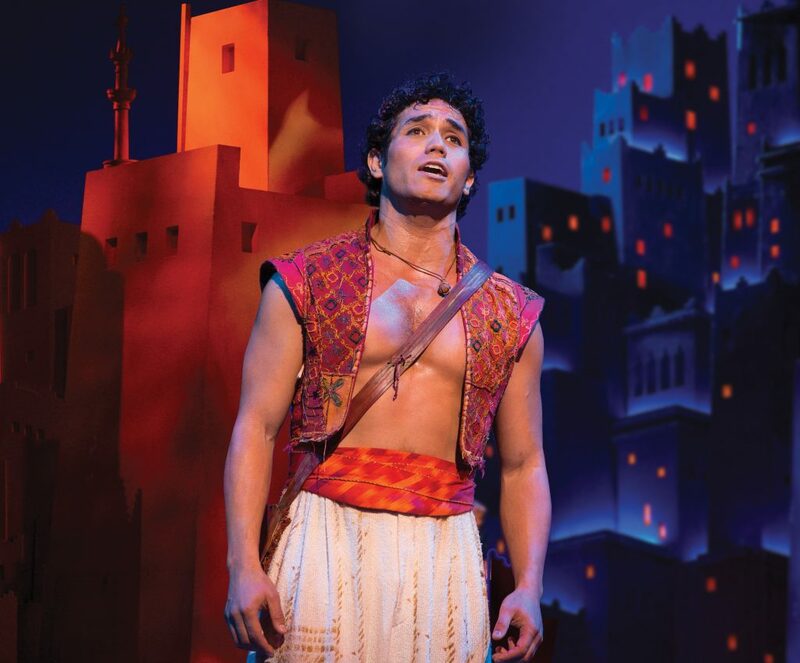 This touring production stars Adam Jacobs, who originated the title role of Aladdin on Broadway, alongside Anthony Murphy (Genie), Isabelle McCalla (Jasmine), Jonathan Weir (Jafar), and others. The stage version of Disney’s iconic animated movie musical has played on Broadway since previews began on February 26, 2014, and continues to reign as one of the Top 10-grossing musicals on the Great White Way. The production was nominated for five Tony Awards, features seven new songs with music by Alan Menken (in addition to all five of the film’s), lush scenic designs by Bob Crowley (Mary Poppins, Aida), and no less than 84 special effects. The Genie (Anthony Murphy) in the Cave of Wonders. Photo by Deen van Meer. Aladdin (Adam Jacobs) contemplates his life. 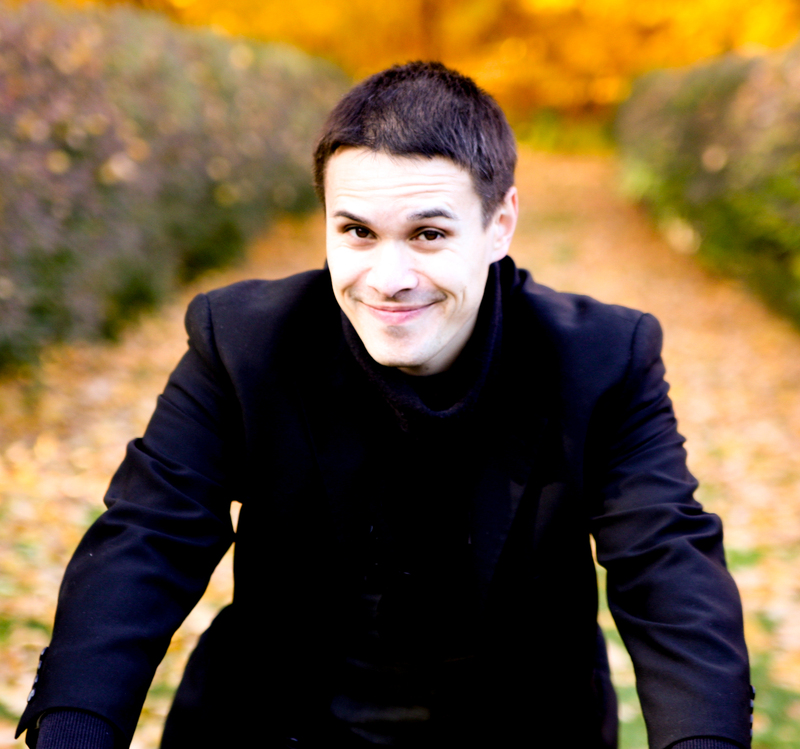 Photo by Cylla von Tiedemann. The Genie (Anthony Murphy) showcases his menu on offer. Photo by Deen van Meer. 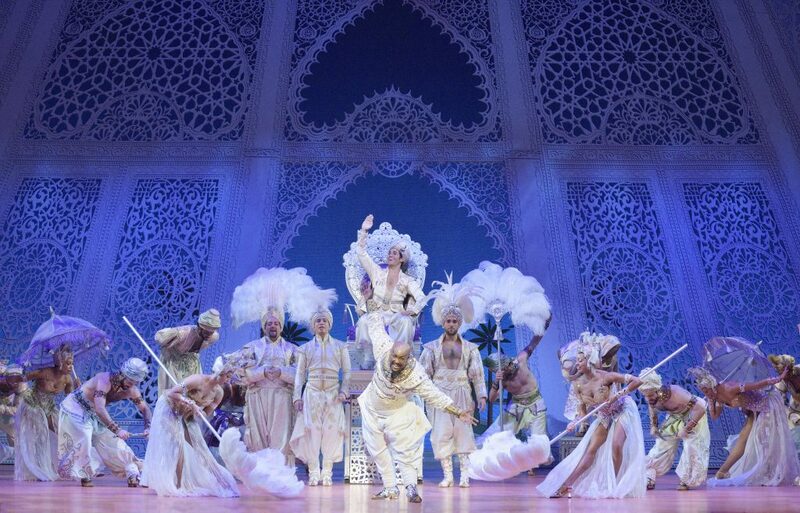 The cast of the North American tour of Aladdin in “Prince Ali”. Photo by Deen van Meer. 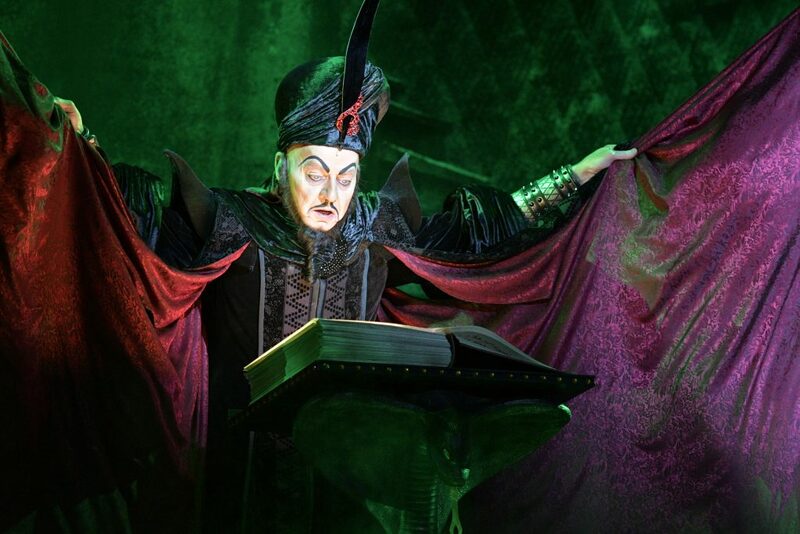 Jafar (Jonathan Weir) plans his next devious plot. Photo by Deen van Meer. 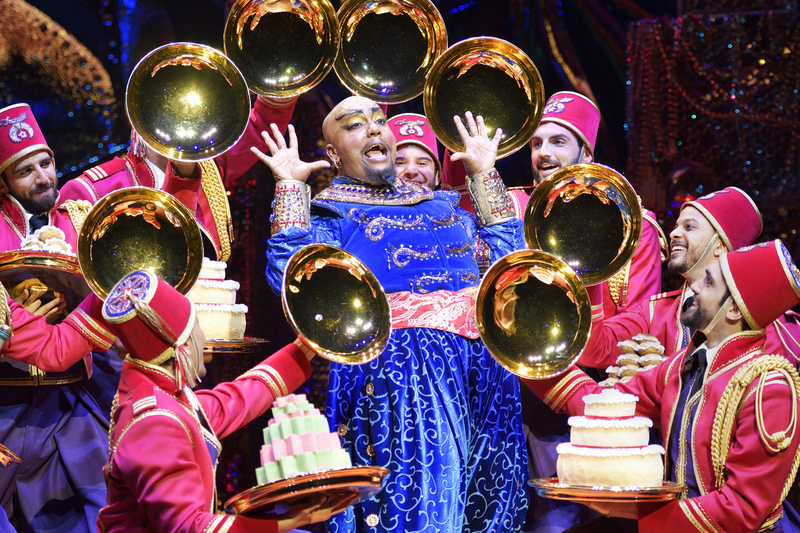 Aladdin opens September 15 at the Orpheum Theatre in Minneapolis, MN and closes October 8.